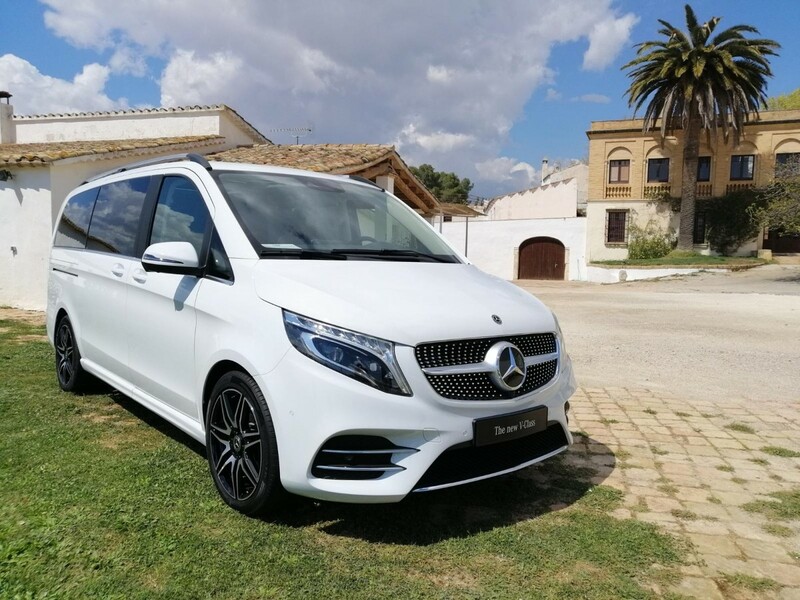 A refreshed Mercedes-Benz V-Class, which will appeal to well-heeled people-mover buyers (as well as executive-transport operators), will arrive in South Africa in the 2nd half of 2019. 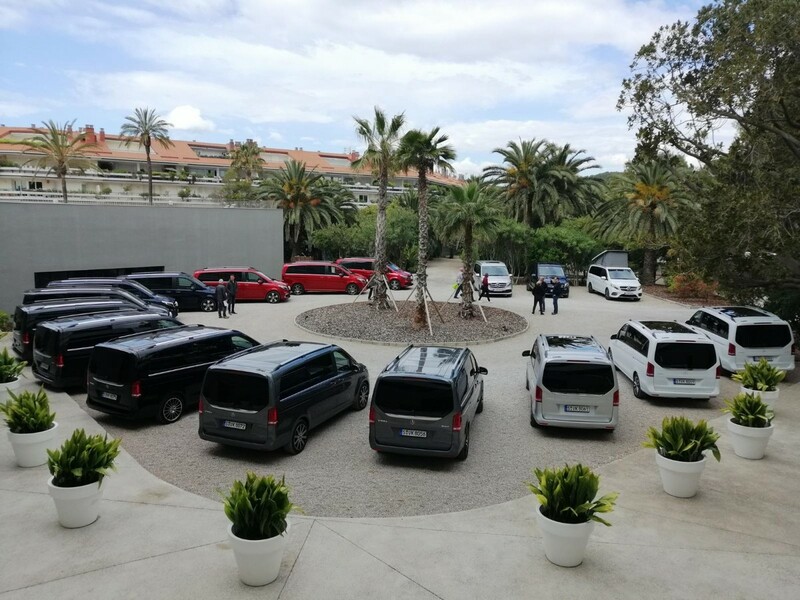 We recently attended its international launch in Spain to find out if the latest V-Class is worth the wait. 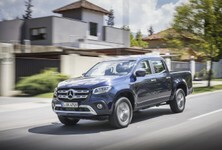 Since its introduction in 2014, the luxurious people-moving V-Class from Mercedes-Benz has experienced relative success worldwide with sales exceeding 209 000 units – and we've been told that it has sold relatively well on local soil too (Mercedes-Benz only reports aggregate monthly sales). 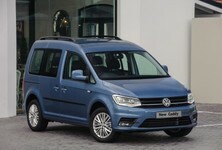 The changes are subtle but the V-Class is still the most luxurious MPV money can buy. Play a game of "spot the difference" and you will soon realise that, by the standards of most mid-lifecycle model updates, this is a rather subtle facelift. The visual changes include a new front bumper and air inlet design, while the grille sports 2 silver slats and a revised black mesh. Opt for the AMG-Line trim and the grille gains diamond-pattern chrome pins that imbue the V-Class with a bit more visual punch. 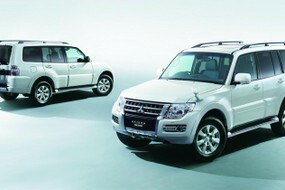 A range of new exterior colours and revised wheel designs (ranging from 17- to 19-inches in size) is also available. As for the bus' interior, the instrument dials have been refreshed, as have the air vents (they now sport a turbine-look, which will be instantly recognisable to owners of the latest A-Class). What's more, there’s an updated range of upholstery and trim options available, including Tartufo Nappa leather. 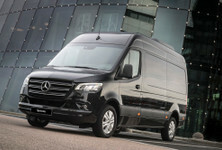 Mercedes-Benz South Africa, however, has yet to finalise local specification for the V-Class, but it has been confirmed that the optional luxury seats for the middle row will be offered in Mzansi. New luxury seats will be offered in South Africa for ultimate rear passenger comfort. These seats are fully reclinable and offer a range of massage, heating (and cooling) functions to maximise occupant comfort. As always, various seating configurations and equipment will be offered to suit buyers' personal needs and preferences. Furthermore, the list of safety features offered on the V-Class has been bolstered with the addition of Active Brake Assist, which detects impending collisions and, if necessary, will intervene by automatically applying the brakes if the driver fails to react to visual and acoustic warnings. 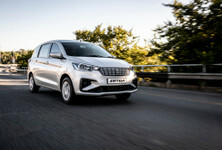 High-Beam Assist Plus has also been added and other notable safety features include Crosswind Assist, Attention Assist, as well as the fitment of 6 airbags, ABS with EBD and electronic stability- and traction control. 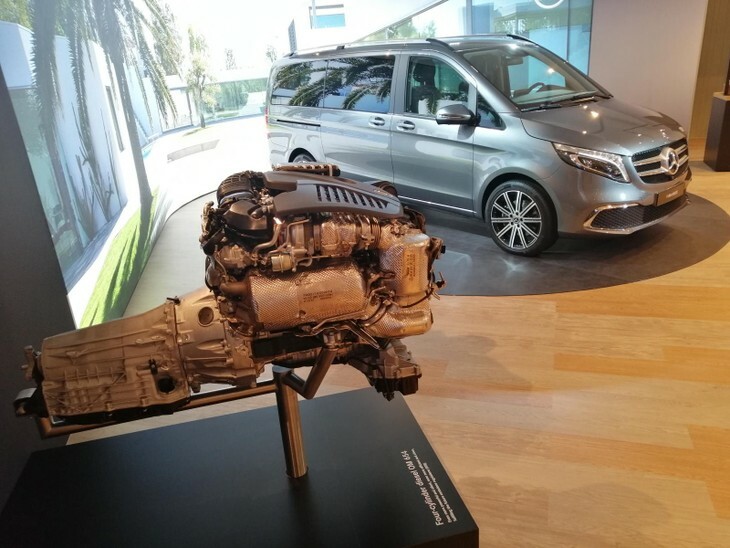 The facelifted V-Class welcomes a new engine but it sadly won't be offered in SA. The big news regarding this latest V-Class is the introduction of the Three-pointed Star's latest-spec 2.0-litre turbodiesel engine (OM 654). It is offered in various states of tune: 120 kW (V200d), 140 kW (V250d) and a whopping 176 kW in the top-of-the-range V300d derivative, plus it's mated with a 9-speed automatic transmission, which replaces the previous 7-speed auto 'box. The new powertrain, Mercedes-Benz claims, offers improved overall performance in conjunction with reduced fuel consumption and carbon dioxide emissions. This is a great pity for potential buyers, because this engine is far more refined than the familiar 2.1-litre turbodiesel engine, which will soldier on in Mzansi. 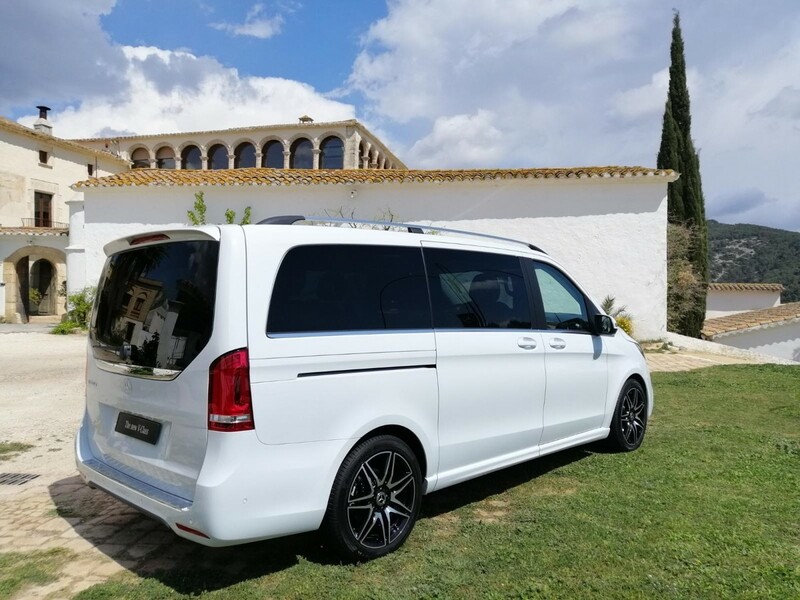 The motor offered impressive performance on our drive in Spain and we had the opportunity to test both the V250d and the more powerful V300d (both equipped with the new 9-speed automatic transmission). Power delivery was more than sufficient in both variants and the slick 9-speed 'box proved a good match for this engine. In addition to the 500 Nm of peak torque (offered in the V300d), an additional 30 Nm of overboost gives the flagship derivative some handy extra overtaking urge. The V-Class range comprises both rear-wheel- and all-wheel-drive configurations. On-road comfort levels are impressive but rearward visibility could be better. Mercedes-Benz says that fuel efficiency has improved by up to 13% by virtue of the new engine/transmission combination, but we were surprised to see consumption figures of above 11.0 L/100km on the V-Class' trip computer. Those indicated returns were surprisingly high, considering that Mercedes-Benz claims optimal figures of between 6.1 and 5.9 L/100 km. 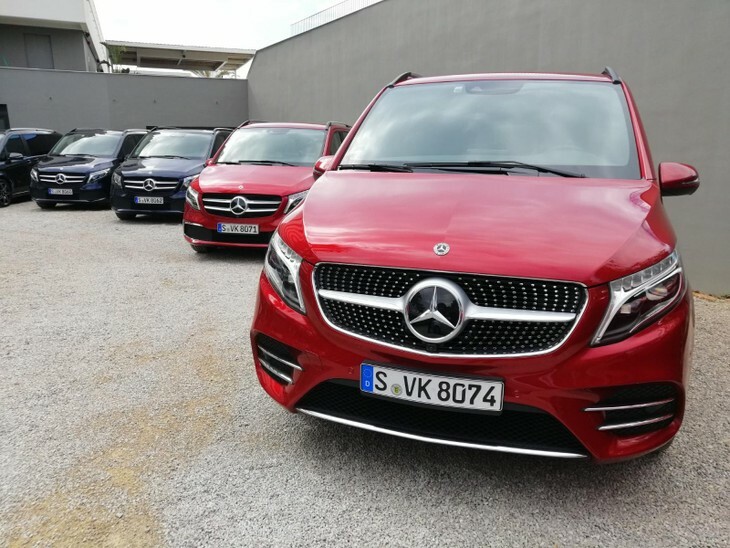 The V-Class’ ride-handling balance was a highlight; it doesn’t feel like you are driving a van – in fact, it’s quite car-like to pilot. The steering is nicely weighted and provides positive feedback. 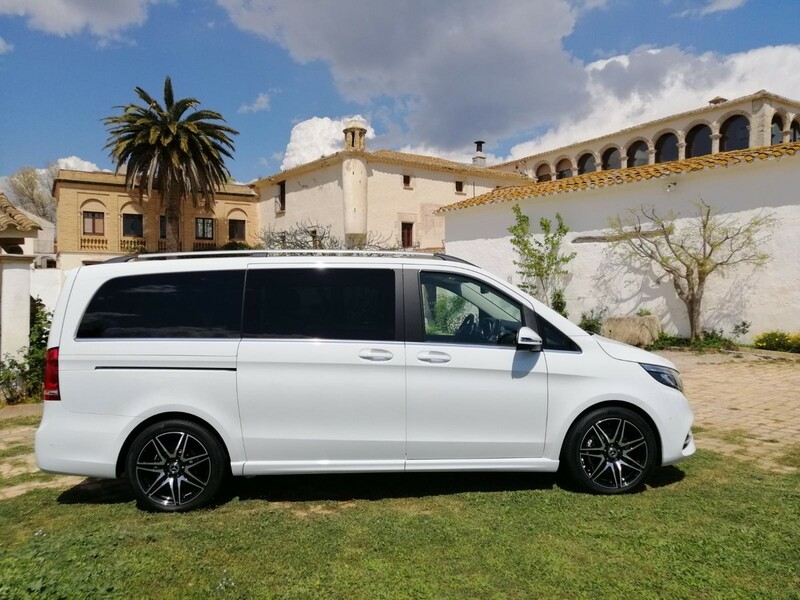 Given the V-Class’ shape, one would expect considerable body roll when cornering, but it turns in with stability and delivers a smooth, comfortable ride (it should cope well with harsher South African road surfaces). We found rearward and blind-spot visibility less than ideal, which means drivers will need to be more vigilant when crossing lanes or reversing. To reiterate, the South African market will continue to employ the service of the older 2.1-litre turbodiesel engine paired with a 7-speed automatic transmission. Buyers will still have the choice between the V200d with 100 kW/300 Nm, the V220d with 120 kW/380 Nm and the V250d with 140 kW /440 Nm. New interior trim and leather options will be on offer when the V-Class arrives in Q3 of 2019. 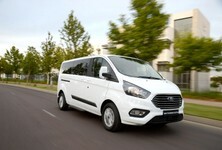 We are disappointed that South Africa won’t receive the new diesel engine and 9-speed automatic transmission. As a result, you may argue that this facelift is underwhelming, and you may be right... To make matters worse, we predict that pricing will increase and likely start from R900 000 (or more, before options) for the base V200d and could reach as high as R1.3-million for the range-topping V250d, which means buyers will likely be paying more for a facelifted product that’s not really offering that much more. That’s a bitter pill to swallow.